I spent the weekend helping someone in my household with their current pain issue, so I was not able to post anything new. This got me thinking about how important it has always been to have my own space; “me space”. Weekends or time every day, it isn’t important the time you decide on to create this, just that you do it. It is so very important to pencil your own time. This is true whether one has chronic pain or not, however, it is essential when one does have it! Mornings are always a slow time for me but it is not the same thing as taking time for “me space”. My body and mind just take longer to get going since I began living with Fibromyalgia 16 years ago. I always take some time in the early evening to relax. Remember that it’s not important what you do in your space, just that you do it. 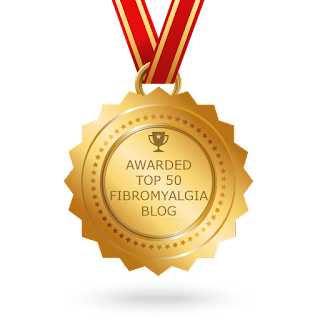 During the first few years of living with Fibromyalgia, I actively created my hobby list that involved just me. I began a organic garden. I had to move slowly and it was necessary to get creative with alternative methods to accomplish physical items like bending and reaching, but it was worth it. I was alone, in the sun, working at my pace and getting loads of fresh, organic vegies. I always loved birds, so I became a birder. I had my partner put up several different types of bird feeders. I purchased a bird guide and sat each morning by the large, back window, watching them fly about, while recording all the various types that appeared. I reclaimed nap time. Other than assisting my teen daughter to complete her homeschooling items, these hobbies were all I did for a long time. My pain was very bad in those first years. I frequently could not accomplish even one of these activities, and never all three on the same day. Relations who could not “see” my pain often judged me as not trying hard enough; but, believe me, I did. Claiming “me space” took my focus off my pain. Even if it was just for a hour it was wonderful. The other very important items I did for my health at that time was to order take-out food often and hire a dear friend to clean all those reaching and pushing and lifting chores I could no longer handle. She came every other week, which was enough as she cleaned incredibly well. I still take my space in the early evenings. I was doing better with my chronic pain for the 10 years I was in university, but this experience of taking care of another for what turned out to be an entire month, combined with increased pain levels for the last two years, has reminded me that I need to incorporate more “me space”. I am slowly adding in a few new diversions to live Well with pain. Chronic illness is overwhelming. It is exhausting. It can cause triggers and emotions that I don’t need, or mean to unleash. My space assists me to have a great deal less of these. If you haven’t already thought about this for yourself, take some time to do so. After a month of having time that is only “your space”, check-in with yourself and see if you are doing better; emotionally or with your pain levels. I was terribly angry and sad that my life was spinning in a direction in which I felt I had little control. Yes, “me space” helped and my medications, but was this the only answer, the only choices I could make? It turns out it wasn’t. More on this in my next post.